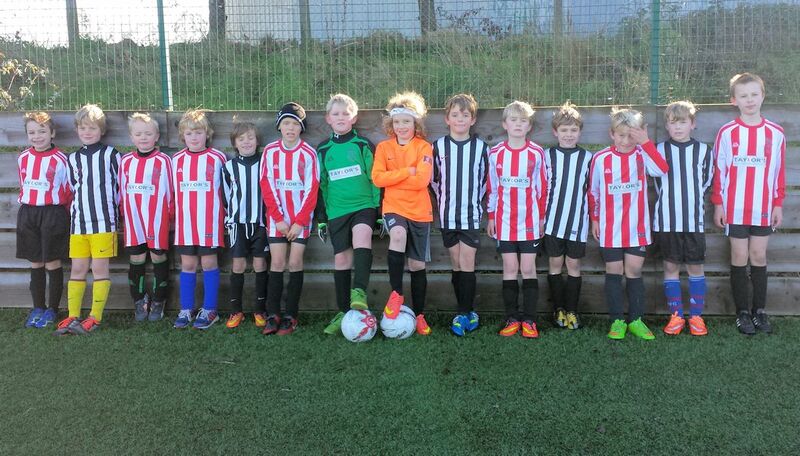 St Agnes Under 8’s and Under 9's attended the Kernow Youth League Festival on Saturday 13th Dember. 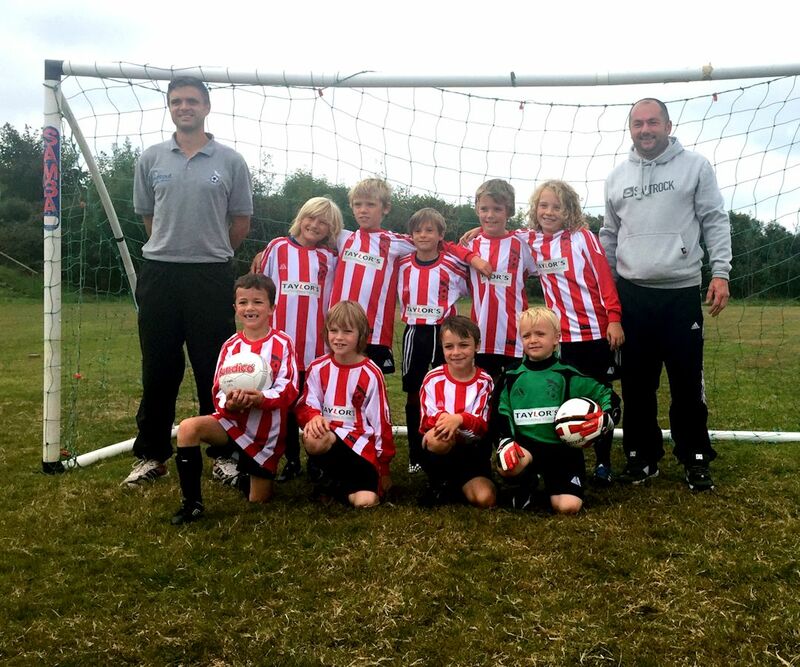 There were so many Under 9’s wanted to attend coach Jimmy Gazzard entered two teams and three new players had their first experience playing for St Agnes, which was brilliant! 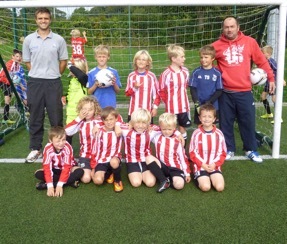 The Under 8’s team are also photographed at the end of the Festival with their coach James Salisbury. Well done to both teams! 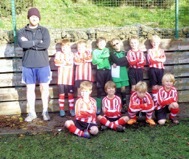 As part of the FA Football Remembers Project, St Agnes AFC invited St Agnes and Threemilestone school football teams to join with them at Enys Parc in a re-enactment of the Christmas Day Truce of 1914 when Allied and German troops laid down their weapons and played impromptu football matches across the Western Front. The event was led by St Agnes AFC, supported by members of the St Agnes Branch of the Royal British Legion with standards who led the four school football teams out to the centre of the football pitch at Enys Parc. 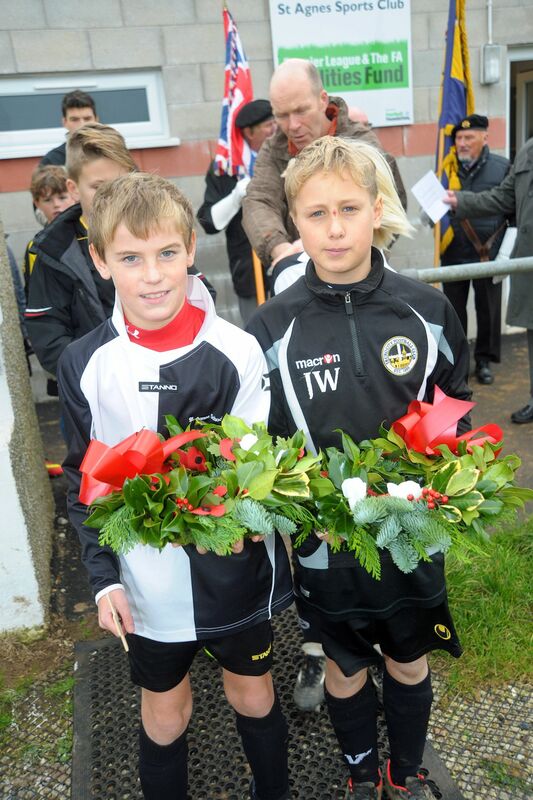 Christmas wreaths interlaced with poppies were laid by school team captains amongst flags in the centre circle. 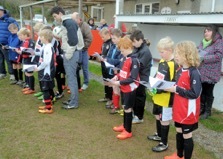 The exhortation was read out and a one minute silence was held with standards dipped. With the scene then set, the football pitch symbolizing no man's land, the players scattered 'to the trenches' at each side of it. The two sides then sang Christmas carols across no man's land as happened almost 100 years ago on Christmas Day 1914, coming together as the singing finished. 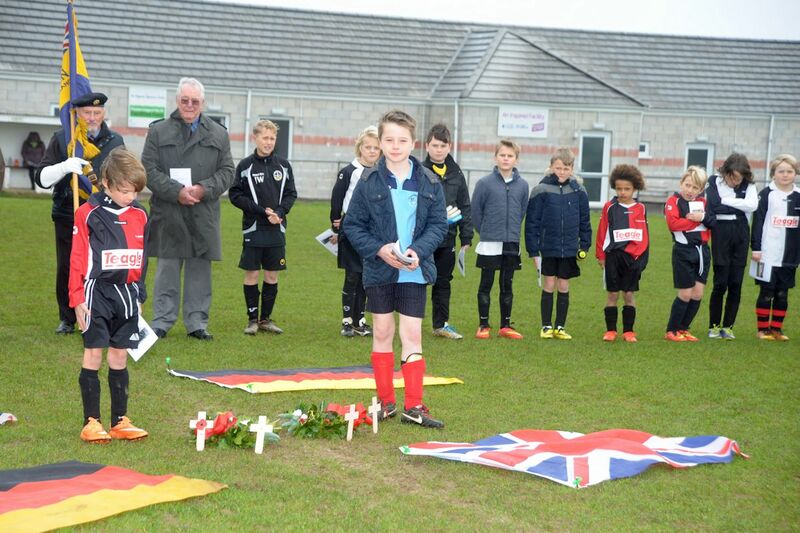 Football was then played to recreate one of the most iconic moments of the First World War. 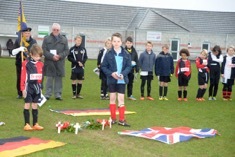 Inge Aston from Germany then presented all the players with a RBL poppy badge and commented "That was very moving to be part of especially when the children came together across their no man's land singing carols". 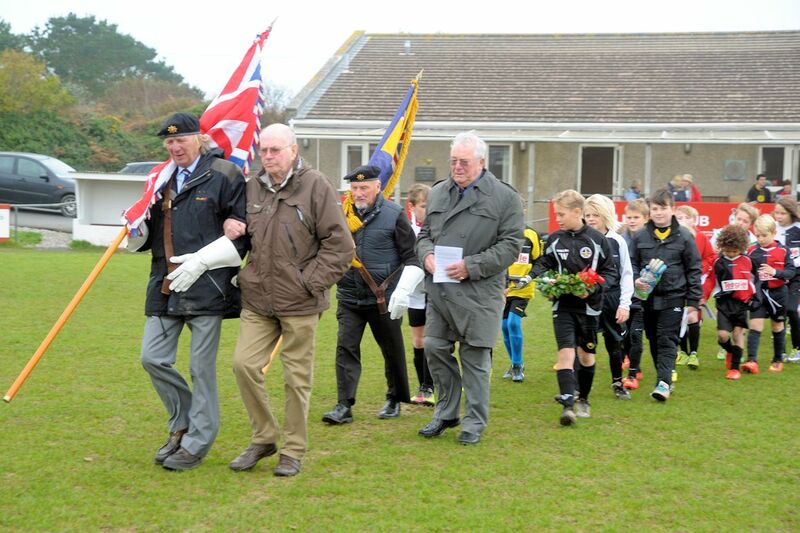 Everyone was presented with a commemorative programme of the occasion and Alan Green of the St Agnes RBL said "Thank you to all of you who took part today, it was a very special moment to remember the events of Christmas Day 1914". 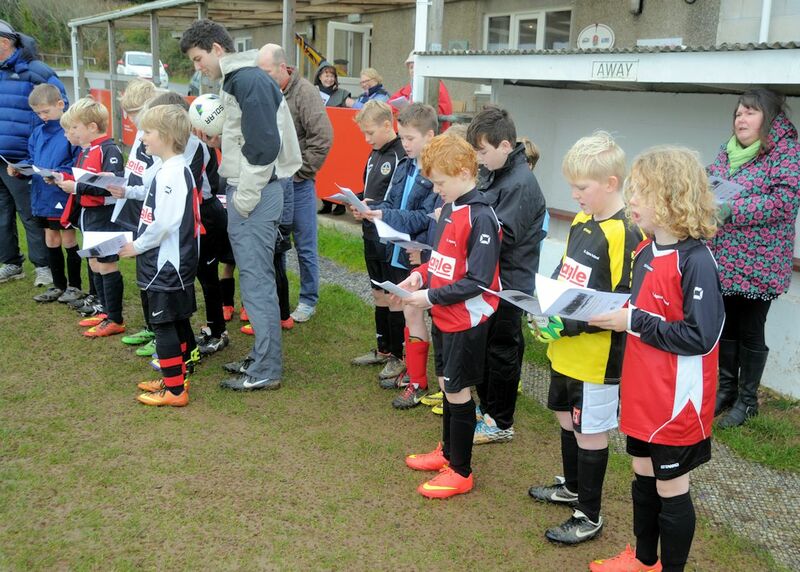 St Agnes AFC Chair, Mandy Kimmins, summed everything up: "A tremendous event to be part of. All the children from both schools were amazing and I know they will remember being part of today for both the occasion and what it stood to represent". 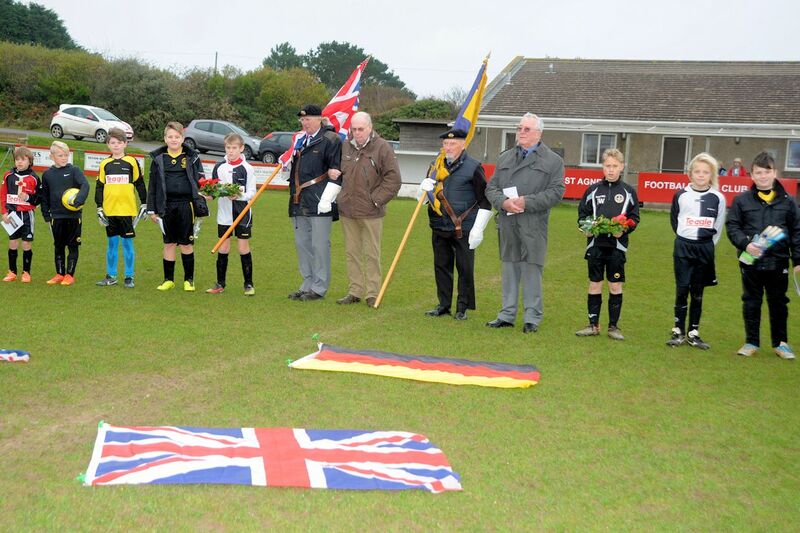 Various St Agnes AFC teams also held their own remembrance ceremony over the preceding weekend during their league fixtures and photos of St Agnes and St Day Under 7’s and St Agnes and Falmouth Utd Ranger Under 15’s are also included below. 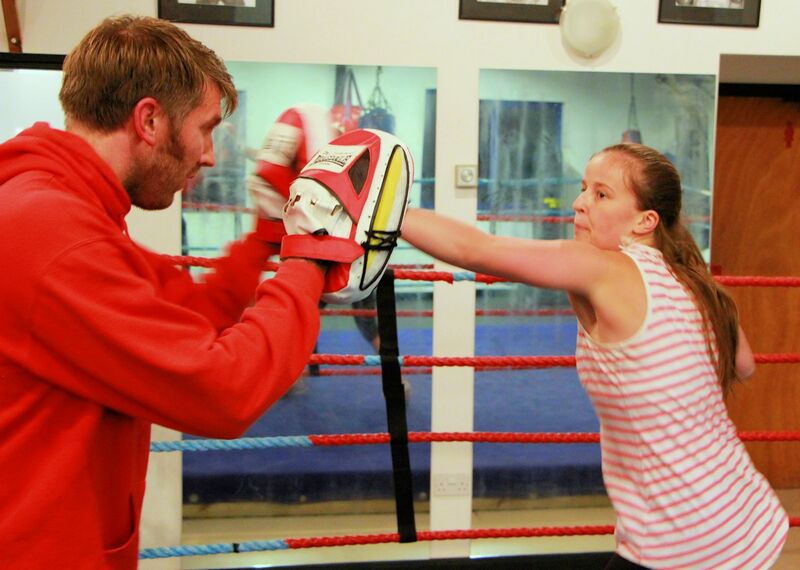 St Agnes AFC Ladies took up the opportunity to attend a fitness session with ABC (Aggie Boxing Club) held in the old youth club building in Angwin Avenue, St Agnes. Amid much creaking and groaning they were put through their paces by qualified coaches Wayne Salmon and Paul Hodgson in a fantastically well run and ability focused hour of excercise and fitness. 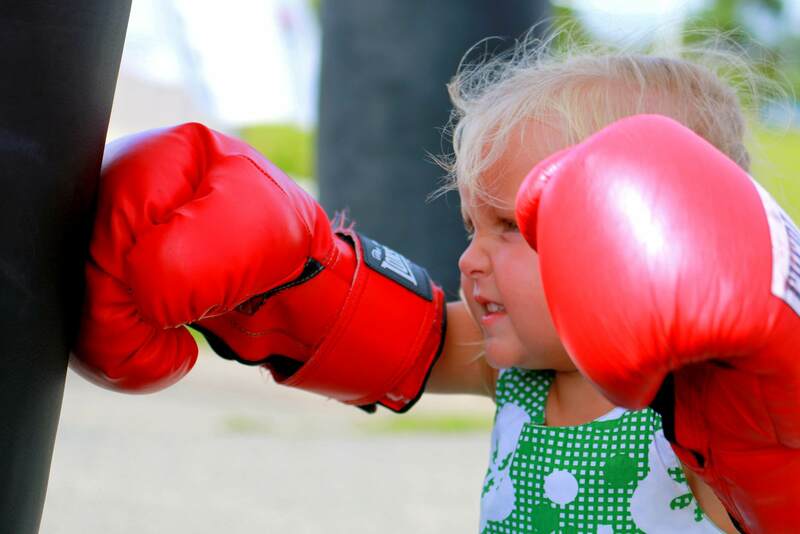 There was of course the opportunity to do a bit of boxing with the gloves on, which proved to be exciting, entertaining, exhilarating and exhausting all at the same time! They enjoyed it so much they have booked to go back for another go! Laura Hockett said "Awesome training session tonight. I am shattered, I'm glad I've got tomorrow off. I'd best have lost some pounds after that plank work". 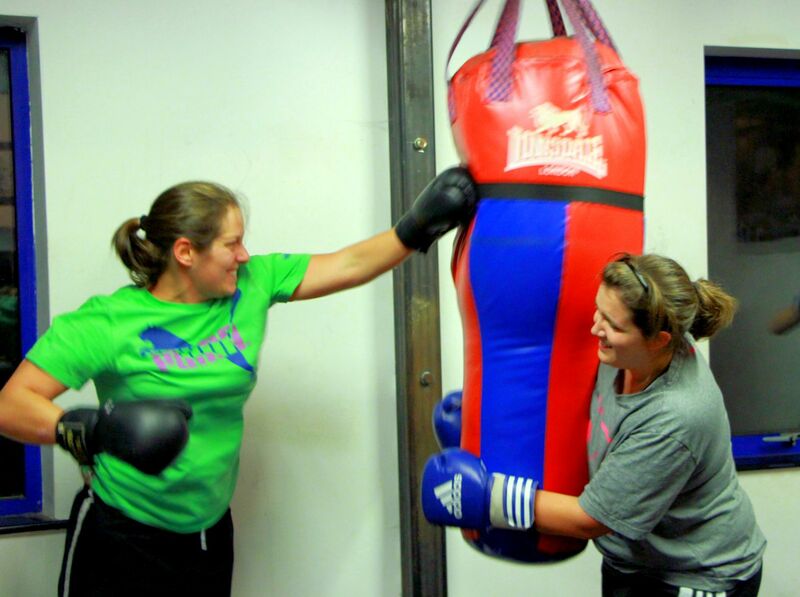 Suzanne Hurrell said "Wow, my arms are gonna be hurting tomorrow, but really enjoyed boxing tonight. It was a good session with plenty of laughs. Thanks aggie girls and aggie boxing club. Amazing effort". St Agnes Sports Club are delighted to announce that tonight Ian Doble, Neil Cotton and Mandy Kimmins attended the Energy Fund Cornwall Awards event at the Eden Project where St Agnes Sports Club (home of St Agnes AFC, RFC, Netball, Gig and Boxing & Fitness Clubs) were awarded the fantastic sum of £33,250 towards our St Agnes Sports Club Solar Panels Project. The fund was well over subscribed and some projects didn't get any funding all. We have not been awarded the full sum we applied for, but a huge portion that can certainly make a significant start to our project for a greener future at St Agnes Sports Club. We will receive a full grant offer in the post shortly and will update everyone with the progress. 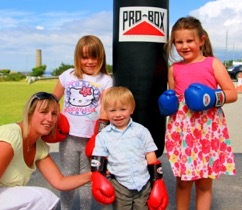 Thank you so much to everyone who has supported this project and St Agnes Sports Club in every way. Chair Mandy Kimmins commented "Wow what a fantastic sum of money we have been awarded by Energy Fund Cornwall, thank you to everyone who has supported St Agnes Sports Club in every way during our recent projects and particularly to Energy Fund Cornwall for their amazing grant, which will help St Agnes Sports Club move towards a greener future!" Remembrance Sunday saw St Agnes AFC Ladies mix up in a pre-match photo with their opposition as a mark of remembrance and of respect to the soldiers who joined together in the Christmas Day Truce 1914 and played football in no-mans land between the trenches. 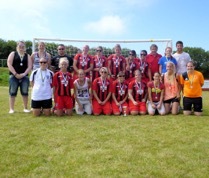 St Agnes Ladies AFC planted poppies and are photographed (away) with Mabe Ladies where they won 7-2. Something very unusual happened on Christmas Day in 1914. British and German soldiers had been fighting each other for several months and by that time around 40,000 Britons alone had lost their lives, but then they stopped to play each other at football. 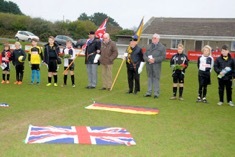 St Agnes AFC invited their visiting teams to join in a photographic mark of unity this weekend with mixed up team photos remembering The Christmas Truce in 1914 when a football fixture was played in no-mans land between German and British Soldiers. All the players from both teams were delighted to join in their fixtures and to share and remember the short time when the fighting stopped. St Agnes Sports Club was a hive of activity as on Saturday as St Agnes AFC hosted Redruth FC and St Agnes RFC hosted St Just RFC. 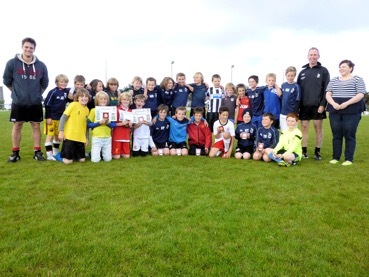 Both St Agnes AFC & RFC are photographed together before their fixtures with members of St Agnes AFC Under 10's who were club mascots for the day! St Agnes RFC were victorious beating St Just and St Agnes AFC went top of the Combination league with their 3-1 win over Redruth. Following their matches both clubs joined together in the clubhouse for a charity raffle and auction raising over £1000 for the Huntington's Disease Association (HDA), a charity with a mission statement “Hunting for a cure - with care”. 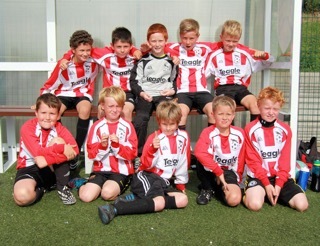 Photographed is a very excited St Agnes Under 7's team who took to the pitch for their first ever fixture on Saturday playing an equally excited side from Rosudgeon. 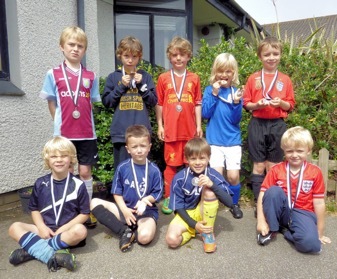 Playing in the non-competitive Kernow Youth Football League Under 7's age group both teams delighted themselves, their parents, their coaches and managers with a fantastically entertaining game of 5-a-side football. 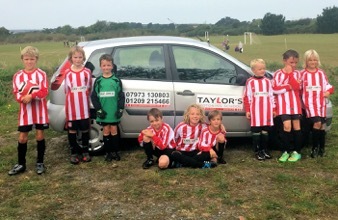 St Agnes AFC Under 9's are very excited to unveil their new kit this season kindly sponsored by Taylor's Motoring School. 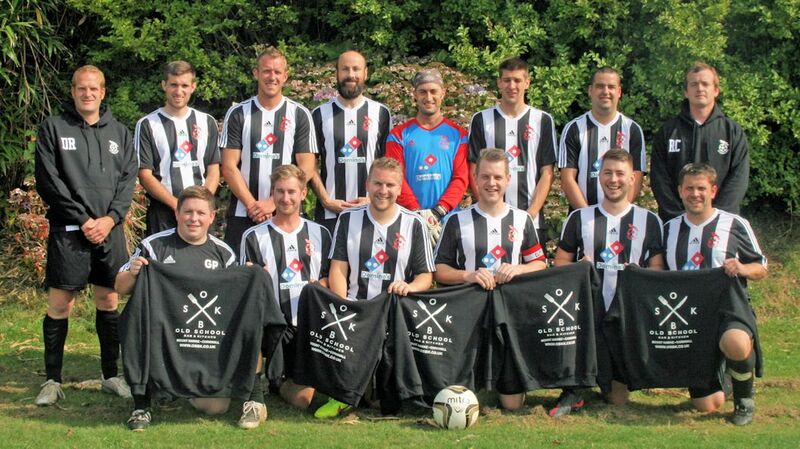 St Agnes 1st team are very grateful to the Railway Inn St Agnes for renewing their sponsorship for a fourth season running with the team photographed in this years new kit. 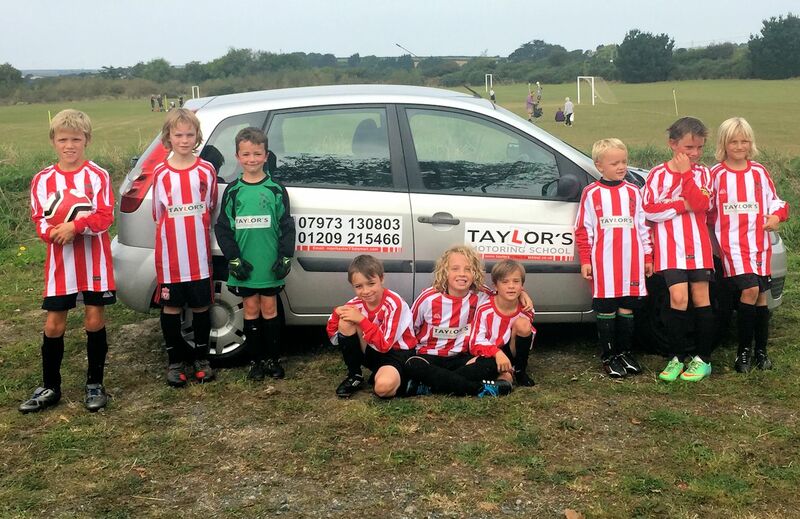 Landlady Anouska House commented "I am delighted to be sponsoring St Agnes AFC again this season. Its so important for local businesses to support our local clubs and everyone at the Railway Inn is proud to be involved with St Agnes AFC". 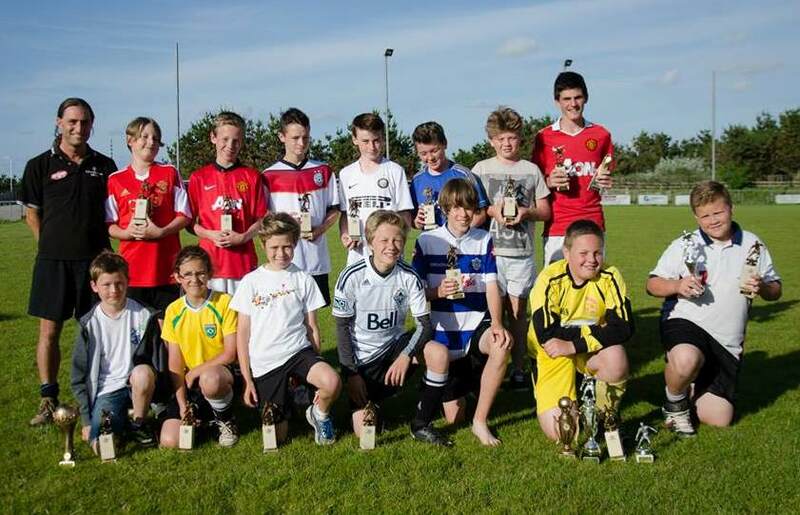 Mandy Kimmins Chair of St Agnes AFC said "As a club we are lucky to have so many local supporters and sponsors. For the Railway Inn to support our 1st team for the fourth season running is tremendous and hugely appreciated by everyone involved in the club". Team names as follows: (Back Row L-R) Chris Collins (First Aid) Paul Luke, Nick Perry, Martin Bennett, James Saulsbury, Sam Connolly, Adam Barnicoat, James Springall, TJ Wilson, Martyn Kimmins (Manager) Mike Cross (Ref Assistant) Dave Keveren (Assistant Manager). (Front row L-R) Curtis Pay, Alec Penrose, Steve Kellow, Duane Britten, Ryan Bull, Dave Goundry, Sam Hatfield, Mike Burn, Dan O'Toole. St Agnes 3rd team are delighted to unveil their new team playing kit sponsored by Domino's of Truro and new Hoodies sponsored by the Old School Bar & Kitchen in Mount Hawke. Manager Chris Wells said "I am so grateful to both our new sponsors for the new kit and hoodies". 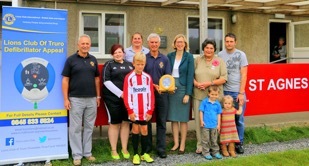 St Agnes AFC were delighted on Saturday to be presented with a lifesaving Defibrillator by Keith Wellington of the Truro Lions Club with MP Sarah Newton present to oversee the occasion. 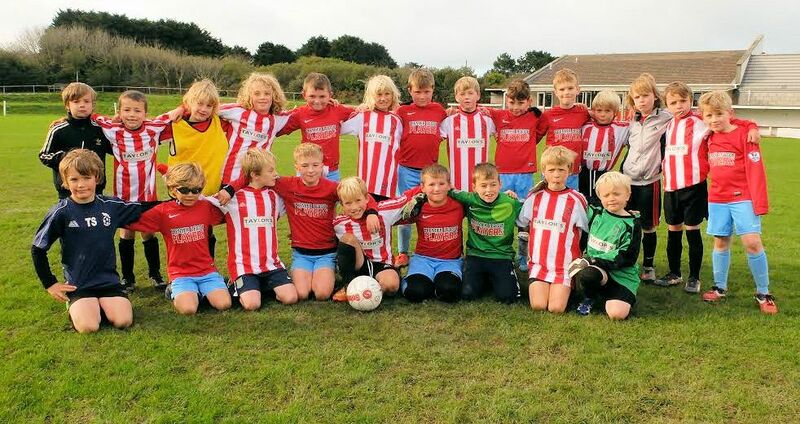 Katie Venton a St Agnes AFC youth coach and manager set the original ball rolling by suggesting the idea of fundraising to purchase the lifesaving equipment and organised for some of the youth teams to host a sponsored penalty shoot out. 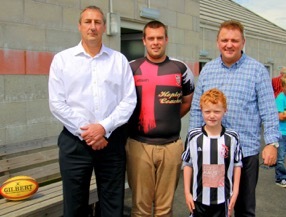 The top sponsorship fundraiser was youth player Gilly Smith who was present to receive the Defibrillator. 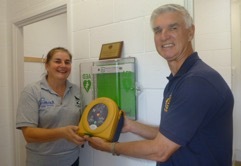 St Agnes AFC hosted a fundraising Duck Race at the Rose-in-Vale and during that event Keith Wellington from the Truro Lions Club introduced himself and offered to help as part of the Lions Club ongoing project to place lifesaving Defibrillators around the area. 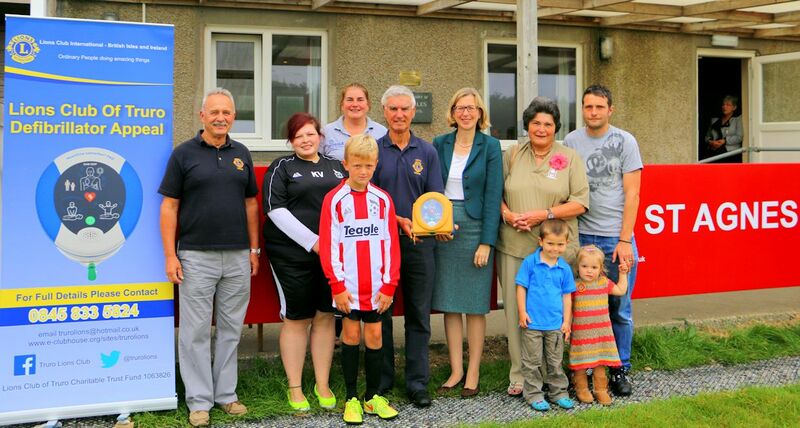 Truro Lions Club launched its Heart Defibrillator Appeal in August, 2013 after forging a partnership with another West Cornwall charity, the Ronnie Richards Memorial Charity, to introduce defibrillators to Truro and surrounding villages. In just over a year the Appeal has exceeded it original target of five life saving units, as this installation is the sixth from the Appeal Fund following those at Hall for Cornwall, Truro Tourist Information Centre, Royal Cornwall Museum, Truro Conservative Club and Truro Golf Club. Further installations are imminent at Truro Cathedral plus fund raising has commenced for an external unit at Perranwell Village Hall & Sports Field. Further fundraising followed and St Agnes AFC were very grateful to receive a donation from Phyllis Blake following the funeral of her husband Terry Blake a former player and supporter of St Agnes AFC. 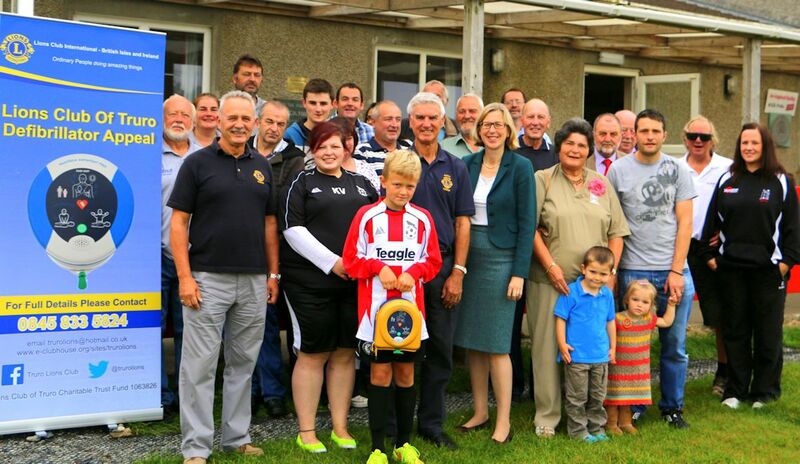 The Lions Club of Truro Charitable Trust Fund awarded a grant of £450 for the purchase of a Public Access Defibrillator (PAD) for St Agnes Sports Club costing £1250, with the balance raised by St Agnes AFC through a variety of fund raising events. The installation took place at the sports ground in the presence of Sarah Newton MP, Gilly Smith (top sponsored penalties fundraiser) Katie Venton (instigator of the project) Phyllis Blake and Paul Blake (and children), Mandy Kimmins Chair St Agnes AFC & St Agnes Sports Club ad other representatives from St Agnes Sports Club and St Agnes Parish Council. Across the UK 2,000 people die each week after suffering a sudden cardiac arrest – with the chance of survival at just five per cent if the victim is given CPR alone. For every minute a defibrillator “shock” is delayed, the chance of surviving is reduced by ten per cent. The device, a Heartsine Samaritan PAD 500P, is fully automated and talks the first responder through the entire process, step by step, meaning it could be used by anyone – even those with no first aid training. However as part of the Lions Clubs “package” training will be arranged for key personnel at the sports club. Sarah Newton MP "I am delighted to have been part of today's event. It is a fitting tribute to the memory of Terry Blake that there is now a Defibrillator at St Agnes Sports Club. What a fantastic facility you have here with the new changing rooms and all the improvements you have made. Good luck with the rest of your plans"
Truro Lions Club is part of the world’s largest service club organisation, Lions Clubs International, an extensive organisation dedicated to community service locally and in global communities. The Truro Club was formed in 1970 and received its Charter on March 17th 1971. 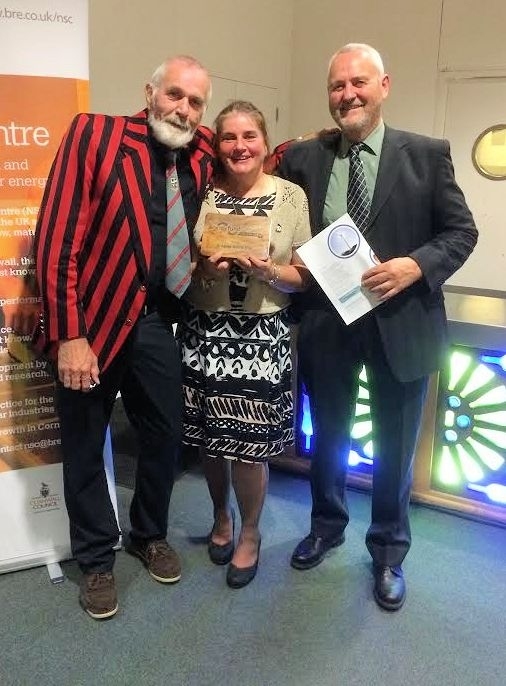 It comprises a group of 30 like minded individuals, proud to be members of an organisation which has served the Truro and District for over 42 years. 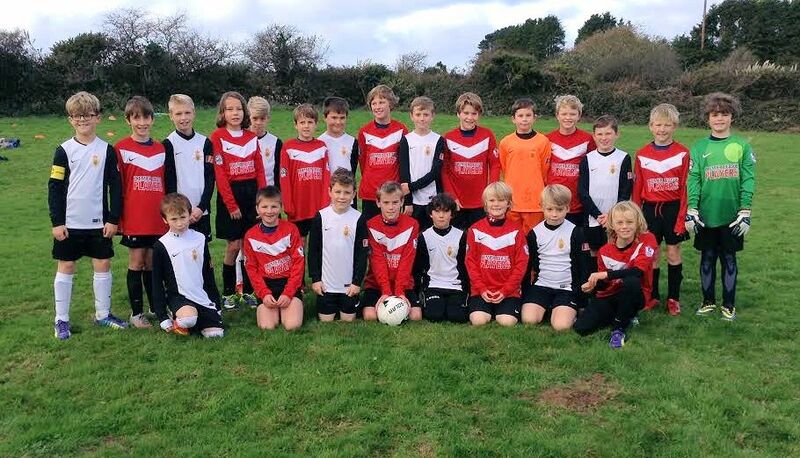 St Agnes AFC Under 9's & 10's attended the first Kernow Youth Football League Festival of the 2014/15 Season away at Mounts Bay on September 14th 2014. Both teams gave great performances in the friendly games. St Agnes AFC 1st Team 'forfeits planner' and player Nick Perry organised this Saturday's player's forfeit that each had to bring a tin of soup for the Camborne Foodbank. 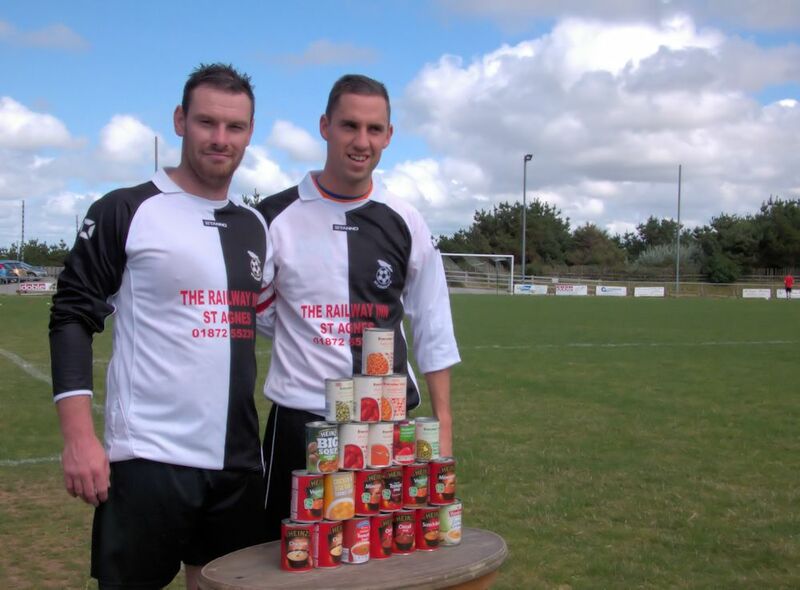 Nick is photographed with 1st team captain Duane Britten and some of the tins contributed. The tins will be donated by St Agnes AFC to the Camborne Foodbank, which was established in 2010 to help those in the Camborne/Redruth area affected by the economic downturn. Following the teams successful Combination League's fixture winning 2-0 against Penryn at home it was time for the 1st team Ice Bucket Challenge - an awareness and fundraising initiative of the charity Motor Neurone Disease Association. Alec Penrose was the first player to be nominated by his team and is photographed with 1st team assistant manager Dave Keverene pouring the iced bucket of water over him. St Agnes AFC have sent a donation to the MNDA charity and any other donations can be made via the Justgiving page or by texting ICED55, followed by an amount (such as £5) to 70070. 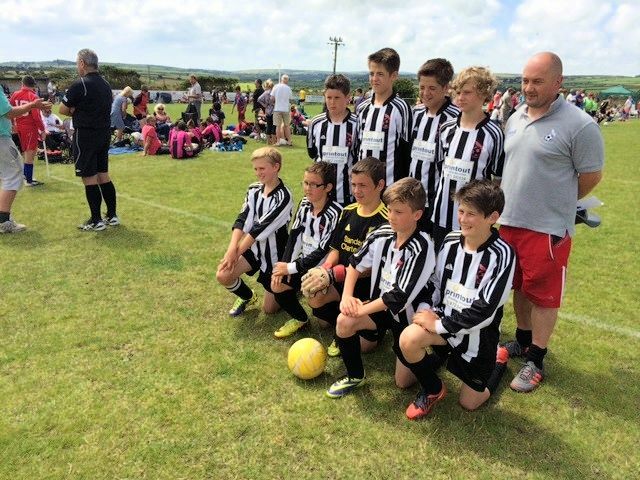 Martyn Kimmins in his 17th year as St Agnes AFC 1st team manager commented "The team has made a great start on the pitch for this season and its good to see them involved in other team activities that make a difference off the pitch too." 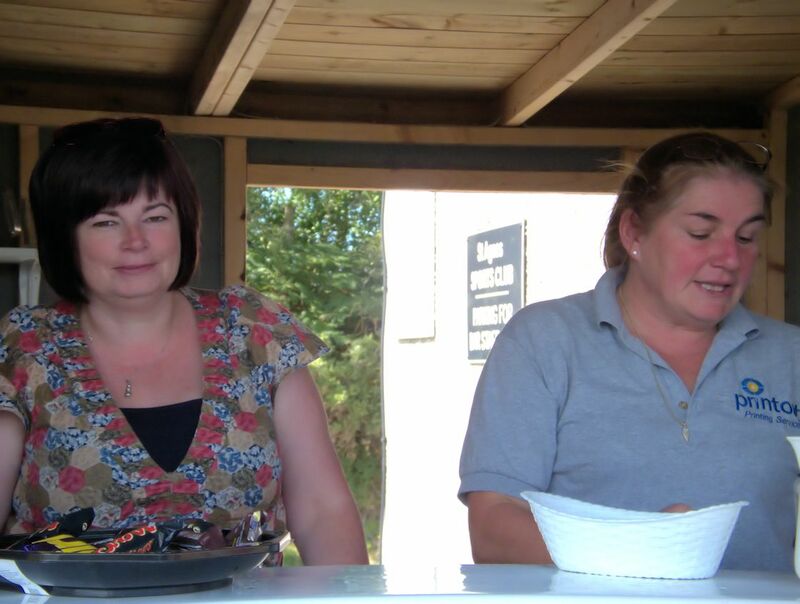 Thanks also to our lovely tea/coffee/bovril/chicken soup ladies! 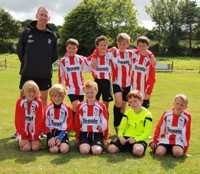 St Agnes Under 9's took part in St Day Youth AFC 7-a-side tournament on Saturday 2nd August. Seven games were played in a league where they won 4, drew 2 and lost 1. 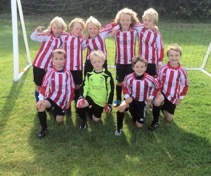 This took them through to the semi finals. After the final whistle of normal time, extra time and penalties they were very unlucky not to go through to the finals. 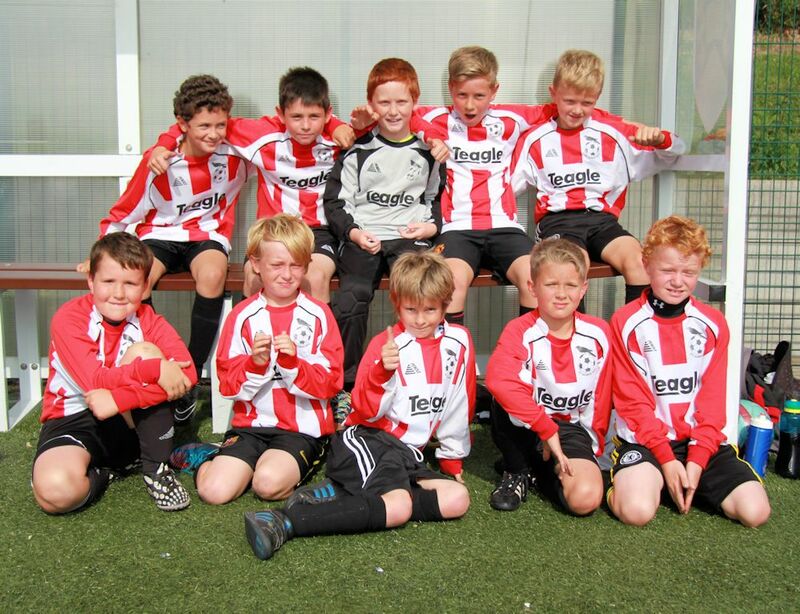 Another great team achievement for our under 9's and St Agnes Youth Football. 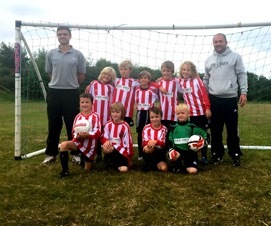 This team, managed by Brian Hooper, is looking forward to the new season as under 10's. 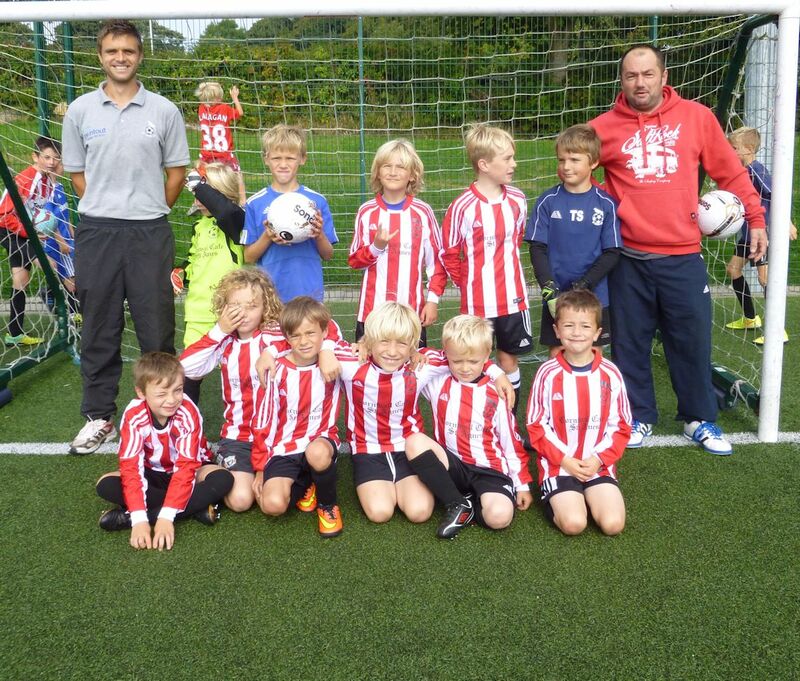 St Agnes Under 8's also took part in the Tournament giving a great performance with manager Jimmy Gazzard very proud of them! 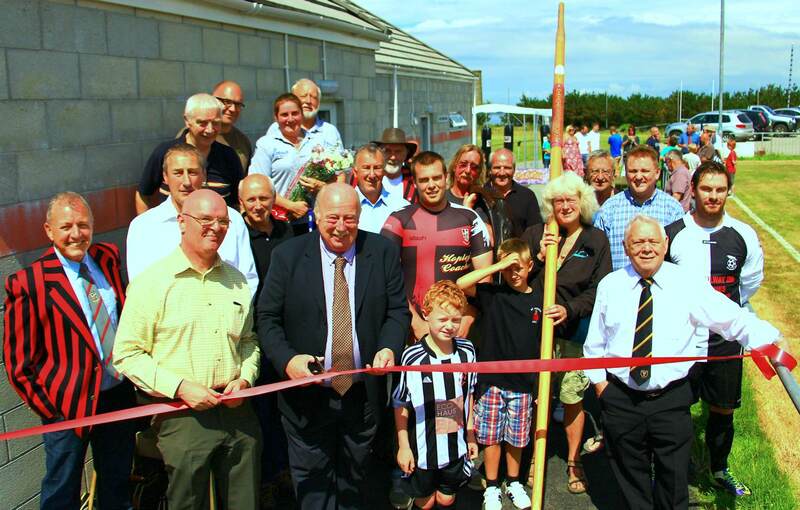 St Agnes AFC were proud to host the finals day of the 5th Brian Biggin charity tournament at Enys Parc, St Agnes using the newly completed changing room building to its full capacity hosting the last two fixtures of the tournament. 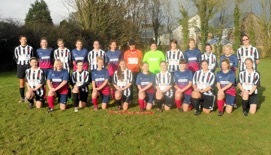 The first match saw the home team, and only Jolly's Combination League side in the tournament, face a Perranporth SWPL team. A minute’s silence was held before kick off as a mark of respect to Mike Trethewey a former St Agnes AFC player who recently passed away: his funeral the day before the Finals Day. 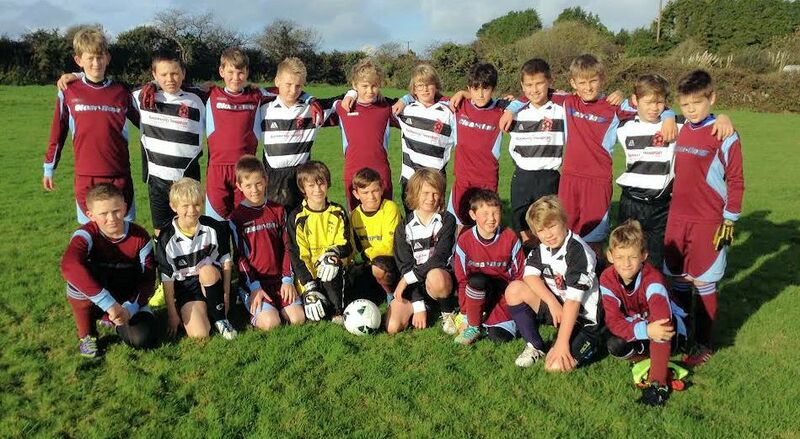 The St Agnes -v- Perranporth fixture then proceeded with Perranporth winning 3-2. 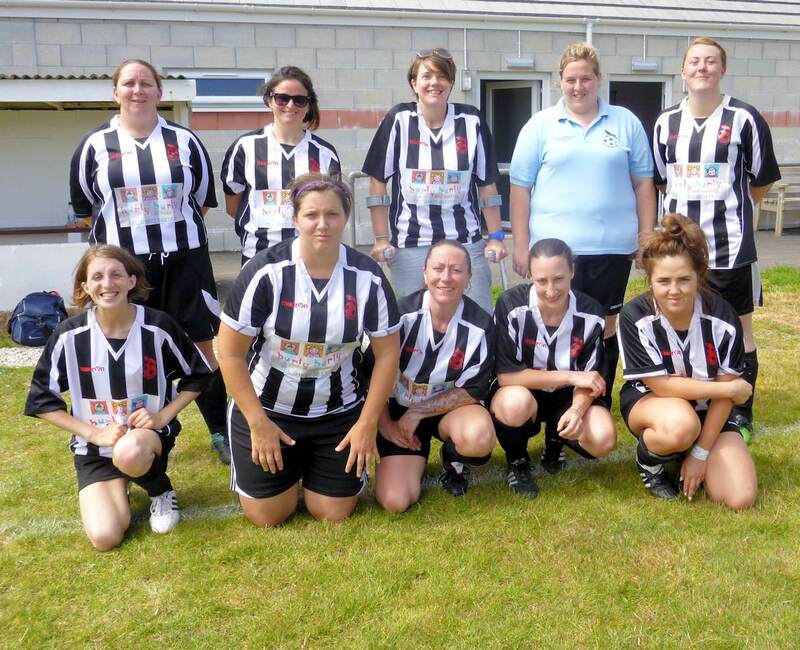 The second fixture between Newquay SWPL and Godolphin SWPL ran out 1-1. All 5 teams (St Agnes, St Dennis, Perranporth, Newquay, Godolphin) line up for the presentation to St Dennis with Trevor Mewton & Sandra Biggin crouched at front. St Agnes gave Penisula West side Perranporth a real run for their money, totally dominating the first half. Against the run of play Perran took the lead with a wonder goal from 25 yards, the ball flying into the top corner. Aggie came back with a 20 yard screamer from Alec Penrose coming back off the crossbar and ended up with Perran keeper Barnes bringing down Steve Kellow in the fight for the loose ball. Duane Bitton scored from the penalty. Aggie then took the lead with TJ Wilson finishing well, despite a look of offside about it! During the 2nd half Perran came back into the game and equalised early on the score 2-2. Aggie made five changes to the team giving everyone a pre-season run out, Perran then got on top and won the game in the final minutes when a loose ball dropped into the box and was finished off to leave the final score 3-2 to Perran. 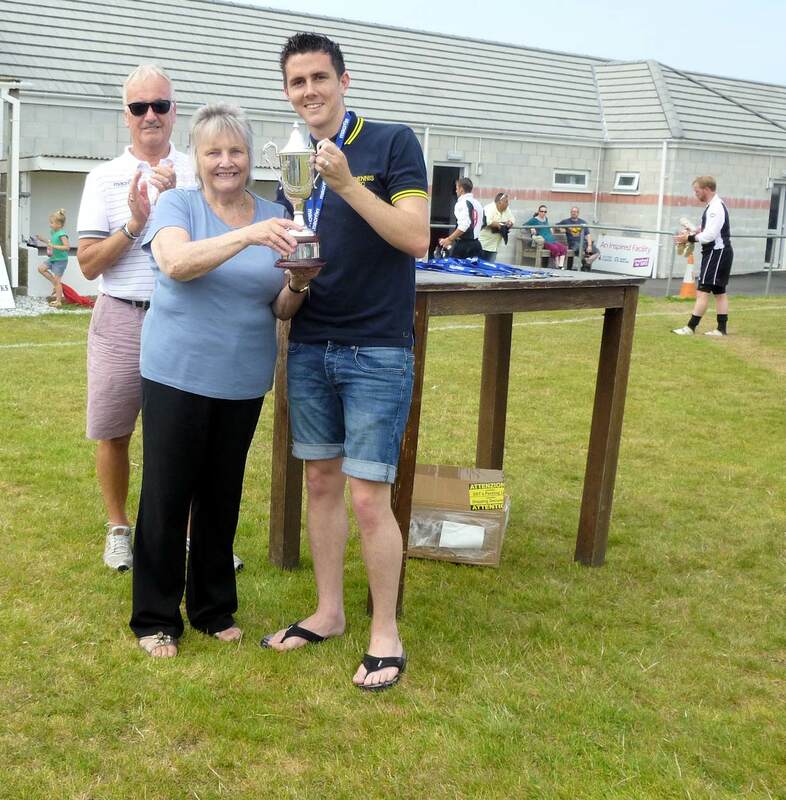 St Agnes gave a really good positive performance against a side in a league above them and manager Martyn Kimmins was generally happy with his teams performance throughout the whole of the Brian Biggin Charity Tournament. 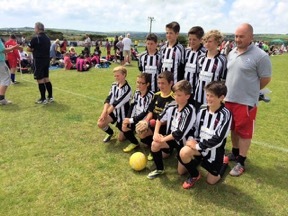 St Agnes AFC were proudly represented at the Sharon Wood Tournament on Sunday 20th July with Barry Taylor and his 2013/14 under 12's team coming top in their league of eight, reaching the final against the winners of the other league, Penzance Raiders. The final was an evenly matched fixture in which both teams played really well with St Agnes finishing runner-up through an own goal. 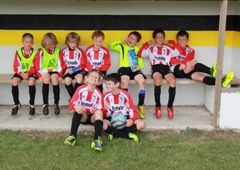 Barry Taylor commented "The boys were fantastic today, what great club and team day out!" 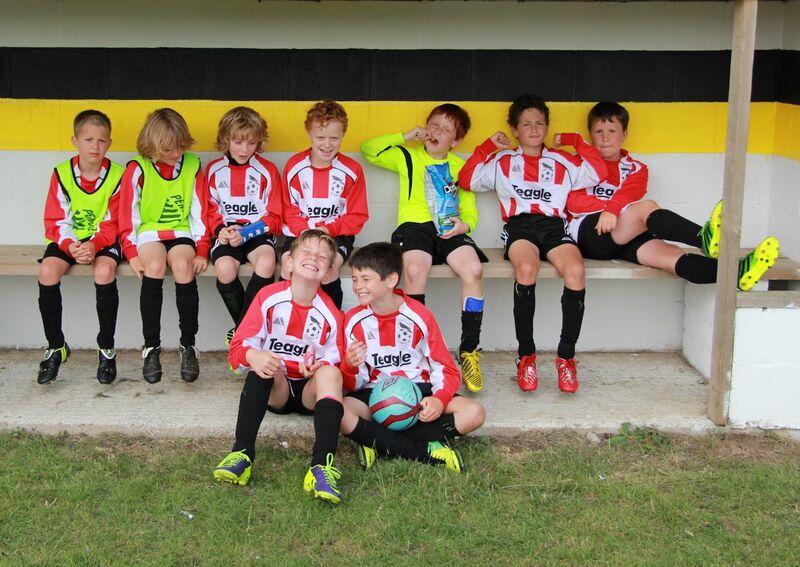 This team will play Under 13's for the 2014/15 Season. 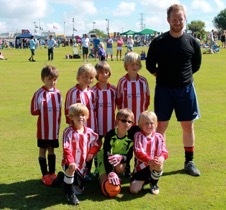 St Agnes AFC Under 7's with new coach James Saulsbury also had a great day out at Wendron playing in their first tournament and for most of them their first ever matches! 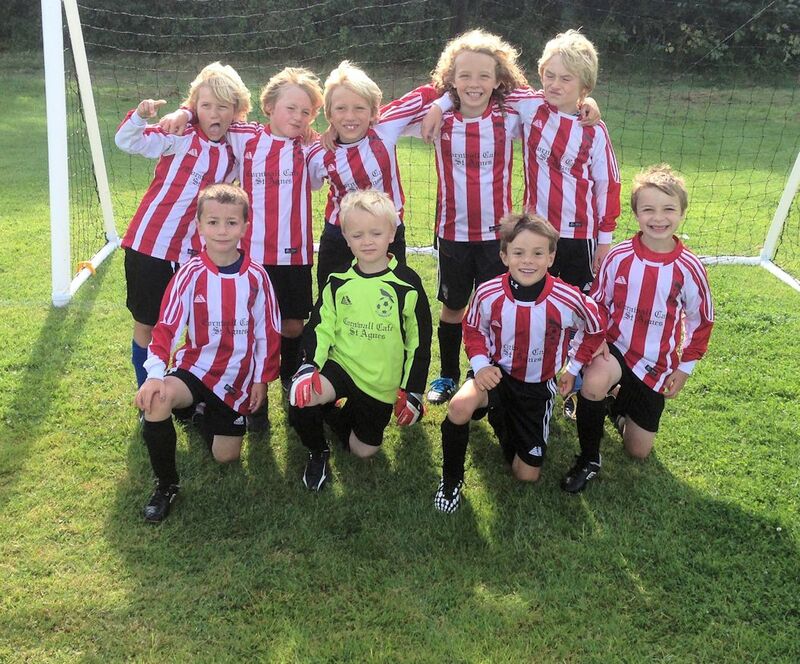 Playing in a friendly league of six teams, the boys were excited to go through the day unbeaten with the added bonus of not conceding a goal! James Saulsbury said "What a fantastic team effort and a promising start. 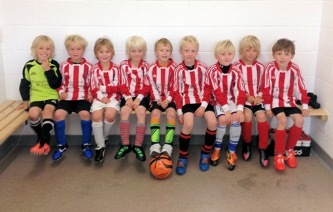 I am really excited to be taking this group through to Under 8's in the friendly league next season". 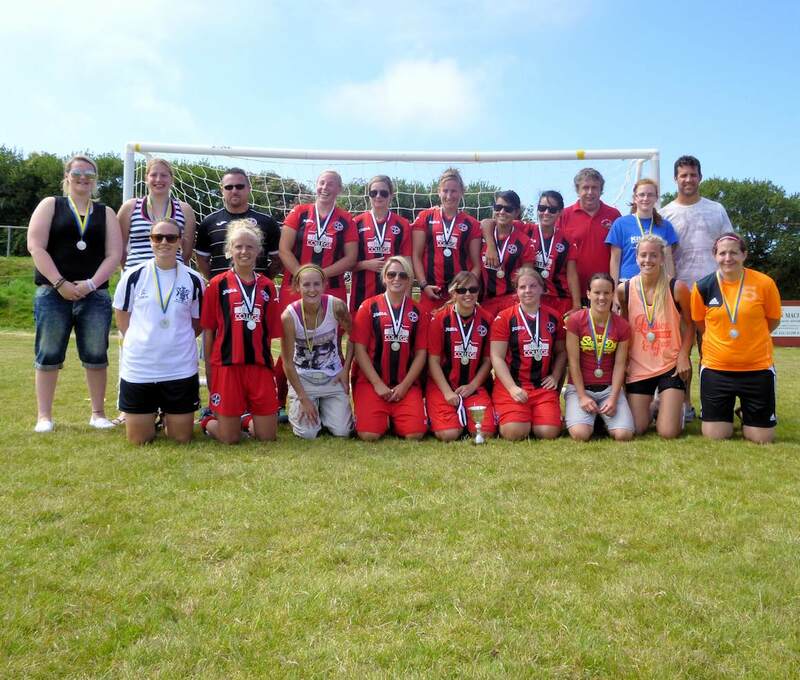 St Agnes AFC Ladies hosted their 6th Annual Charity Tournament at Enys Parc on Sunday with the proceeds split between the club and Cancer Research UK. 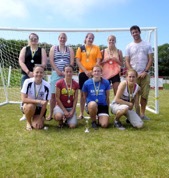 A keenly contested league structure format resulted in Truro City Ladies winning and Illogan Ladies 'A' as runners up. 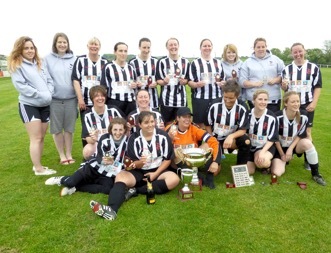 St Agnes AFC Ladies would be delighted to welcome new players for the forthcoming season, players of any level of experience 16 years and over please contact Mandy Kimmins on 07974 370666. Almost 400 guests, sporting members, friends and fund raisers attended Enys Parc, St Agnes on Saturday 19th July for the official opening of the new changing rooms, enjoying cream teas and guided tours of the new facility. Chair of St Agnes AFC and St Agnes Sports Club Mandy Kimmins thanked everyone for their support, funding, volunteering and for attending the opening event. Master of the opening ceremony and cutting the ribbon was Cornwall Councillor and St Agnes resident Pete Mitchell who congratulated everyone involved in the project to complete the fantastic new facilities. He said "Wow what a transformation in the facilities provided here, to say the old building belonged to a different era is an understatement, well done to everyone who achieved the culmination of this project". Mandy said "I am so proud today of what has been achieved with the finishing of these fantastic new changing rooms, they will help sustain the future of sport in our community. Thank you to everyone who has helped make it happen in every way". Neil Cotton and Glen Gibson (St Agnes RFC) presented Mandy Kimmins with a bouquet of flowers in appreciation of her hard work and commitment to the new changing room building over the last 3 years. 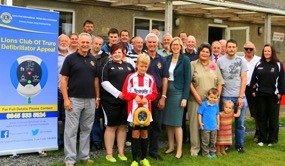 Visitors then enjoyed meeting members of the Sports Club associated clubs including the St Agnes Boxing & Fitness Club who provided some demonstrations, members of St Agnes Gig Club with their rowing machines and gigs on show, members of St Agnes RFC with ball handling skills and St Agnes AFC with a football fixture against Newquay SWPL. This young lady certainly enjoyed a go at the punch bags! A lovely sunny Saturday afternoon at Chiverton saw the end of season celebrations for St Agnes U13's kick off with a game. We had mums, dads, brothers, cousins and even a couple of guests from St Agnes 3rd team join the boys for a thoroughly enjoyable 16-a-side game, which featured even more goals than it did players! 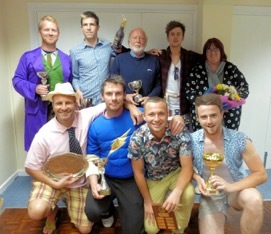 Having worked up an appetite, it was all back to Enys Parc for a buffet and trophy presentation. 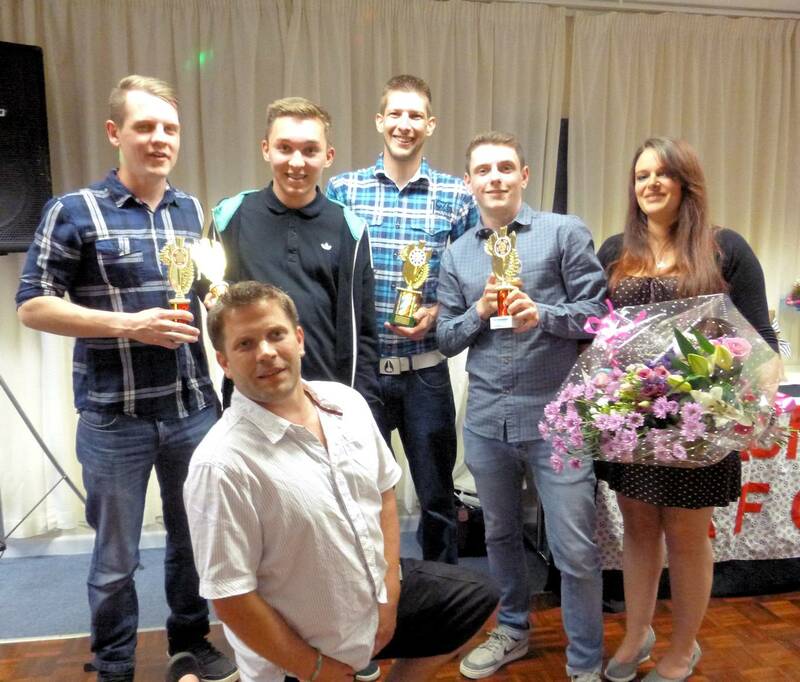 Coach and Manager Mark Norgate presented Nathan Lawrence with the Clubman award, Andrew Govan with the Goal Machine award, Travis Jose with the Most Improved Player award and Rudy Downing with the Managers Player Award. Goal keeper Guy Albury, put his hands to good use again walking away with the Individual Performance of the Season award as well as both the Players' Player and Supporters' Player awards. 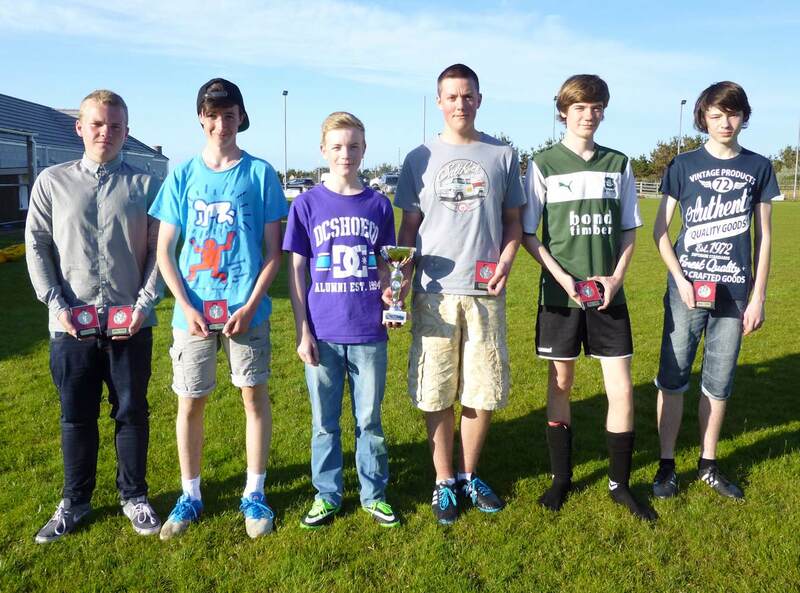 Both St Agnes AFC Under 16's and St Agnes AFC Savages Under 16's finished their 2013/14 Season with a kick about and Sausage Sizzle at Enys Parc followed by their end of season presentations. Coach and Manager Trevor Coldman presented Stefan Williams with both Managers Player Award and the Under 16's Savages Players' Player Award, whilst Louis Downing received Most Improved. 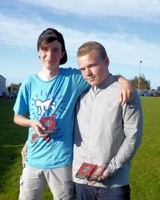 Luke Mellor Coach and Manager of the Under 16's presented Morgan Abrahams with Most Improved, Dan Cannons with Players' Player and Michael Walters with Managers Player. 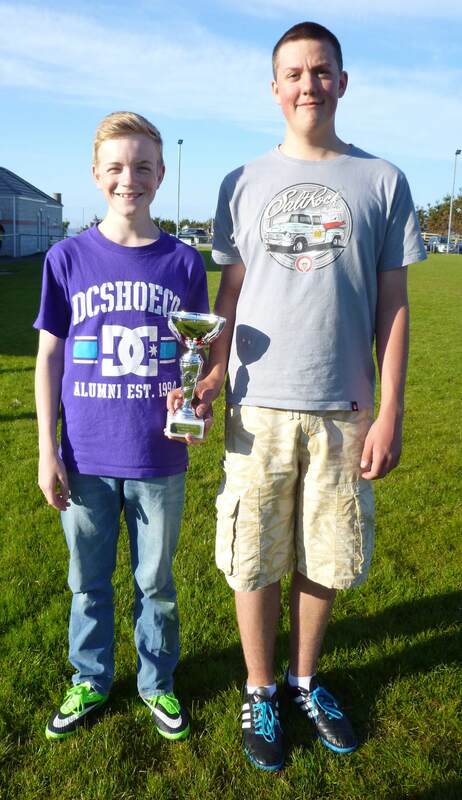 St Agnes Chairman Mandy Kimmins presented Jonathon Russel and Dan Cannons jointly with a new St Agnes AFC Youth perpetual trophy The Tom Savage Memorial Award in recognition of their commitment, reliability and 'never give up' attitude to training and fixtures. 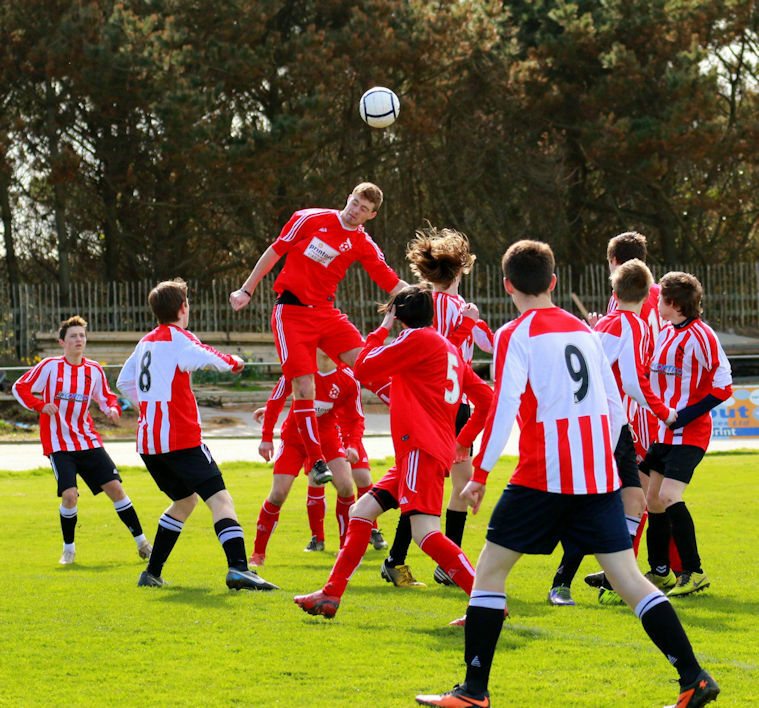 St Agnes AFC plan to host an Under 18's squad for the forthcoming season and training has already commenced on Wednesday evenings at Chiverton Park from 6.15pm - 7.30pm. 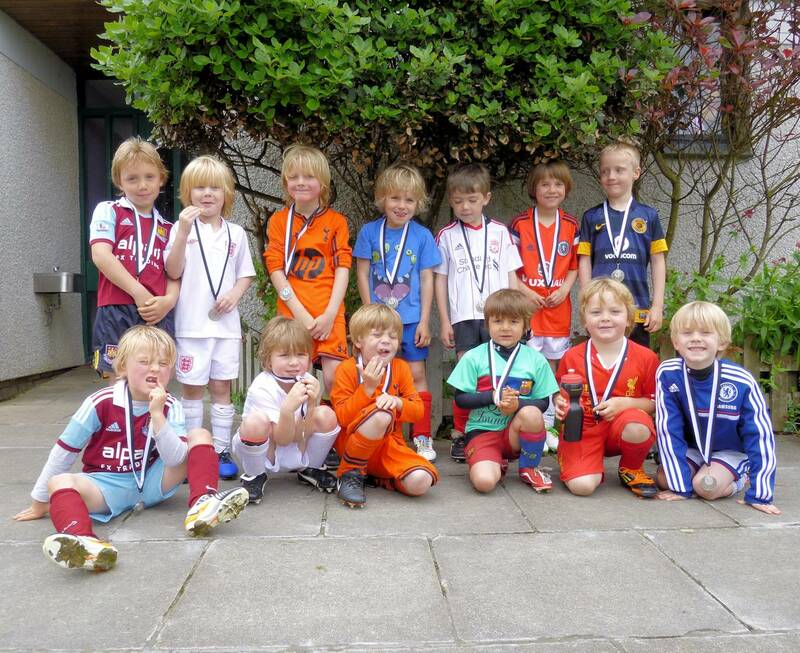 All interested players are welcome to turn up or get in touch with Mandy Kimmins 07974 370666 for more details. St Agnes AFC Ladies, Cornwall Women's Football League 2013/14 Champions are very grateful to Massala Indian Cuisine from Perranporth for sponsoring them with new Hoodies for the 2014/15 Season. 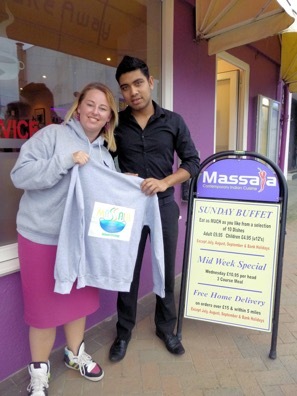 Team player Charlie Penna is photographed with sponsor Naz from the restaurant who commented "I am pleased to support the ladies football team and delighted to hear they were champions of the league last season!" Charlie Penna said"The Hoodies are great! We will be warm and ready for the onset of of the cold weather next season!" 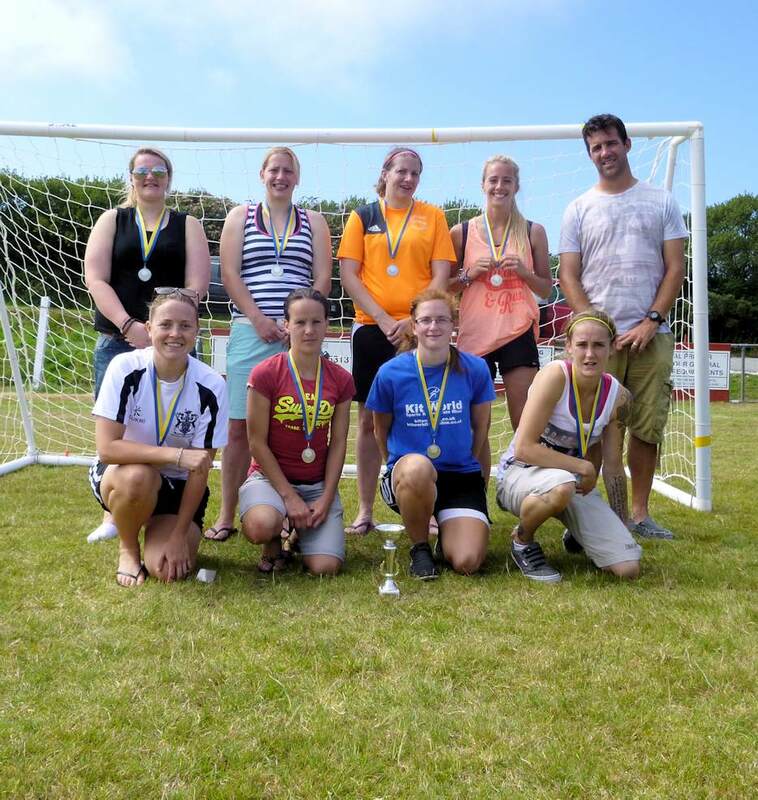 St Agnes AFC Ladies would welcome new players aged 16 years and over of any level of experience to join their squad for football fitness and fun. The ladies would love to update their team playing strip for next season as the present one is looking tired after surviving four busy years! Anyone interested in joining the squad or sponsoring them is welcome to get in touch with Manager Mandy Kimmins 07974 370666. With the 2013/14 Season finished St Agnes AFC have been celebrating the achievements of all their nine youth sides and Tuesday 10th June saw the Under 9's, 10's and 11's gather for a kick about, barbeque and end of season presentation. With parents left in charge of the barbeque (some interesting coloured sausages!!!) 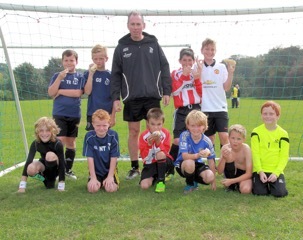 the coaches entertained the players with 'mixed up' football at Enys Parc. 1st Team Player and Under 10's coach Mike Burn then presented his team awards with Hank Flynn Most Improved, Aaron Havers Managers Player and Rory Fawcitt Players' Player. Under 11's coach and Ladies Team player Katie Venton presented Josh Wymer Players' Player, Tom Dolan Most Improved and Manager's Player Ethan Potts. Manager Brian Hooper presented the Under 9's with Joel Antonio Most Improved, Thomas Radford Managers Player and Noah Teagle Players' Player. 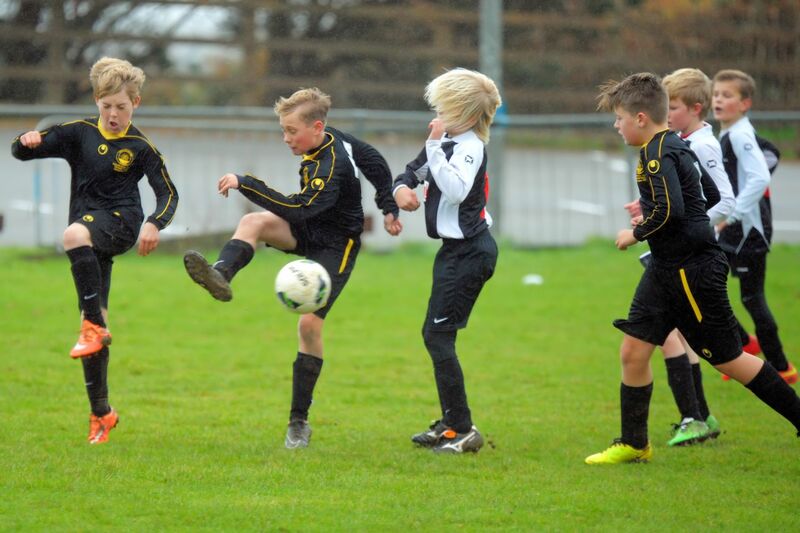 All three of these St Agnes AFC Youth sides will progress to the next year age group for the 2014/15 Season and the club would welcome new members (boys or girls) to join these or any of the other youth squads. Any interested players are welcome to get in touch with Chair Mandy Kimmins 07974 370666. St Agnes AFC hosted their end of season awards presentation night at the Miners & Mechanics Institute in St Agnes on Saturday, a less formal affair than usual with all the 1st team deciding to 'dress to impress' from a charity shop. 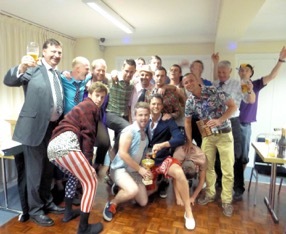 First prize went to Alec Penrose for his american flag stars and stripes leggings and co-ordinated outfit! Club Chair Mandy Kimmins presented Denzil Lobb with the Chairman's Cup for his outstanding contribution to the club over the season. A former St Agnes player from 40 years ago Denzil returned to St Agnes last year and has thrown himself into helping with the club's new changing room project and much more. Paul Luke was presented with the Sid Hoare Loyalty Award for his ongoing involvement with both adult and youth sections within the club and Helen Venton received flowers for her dedicated support. 3rd Team manager Chris Wells presented Oakley Rogers Managers Player, Owen Ford Top Goal Scorer, Mark Kaye Most Improved and Chris Penrose Players Player. St Agnes Reserves manager Barry Taylor presented Keiran Bayley with Most Improved, Jeremy Bunt with Players Player and Daniel Ball with both Managers Player and Top Goal Scorer. 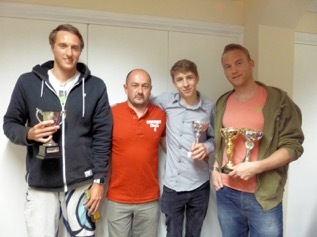 1st Team Manager Martyn Kimmins having completed his 16th year in charge of the club's Combination League side presented Duane Britton with Top Goal Scorer, Stuart Hutton Best Newcomer, Mark Mitchell Most Improved, James Saulsbury Manager’s Player and Sam Connolly Player’s Player for the second season running. 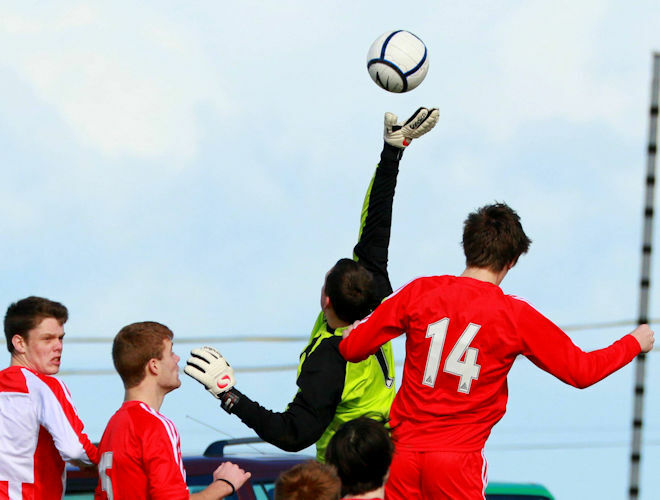 St Agnes AFC would welcome applications from anyone interested in managing/coaching the clubs Reserve side playing in the Trelawny League for the 2014/15 Season. 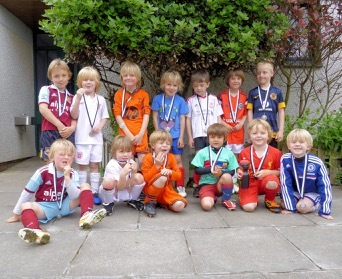 St Agnes AFC Under 8's and Minis are photographed with their end of Season participation awards at St Agnes School where a 'football world cup' was played prior to refreshments and medal presentations. 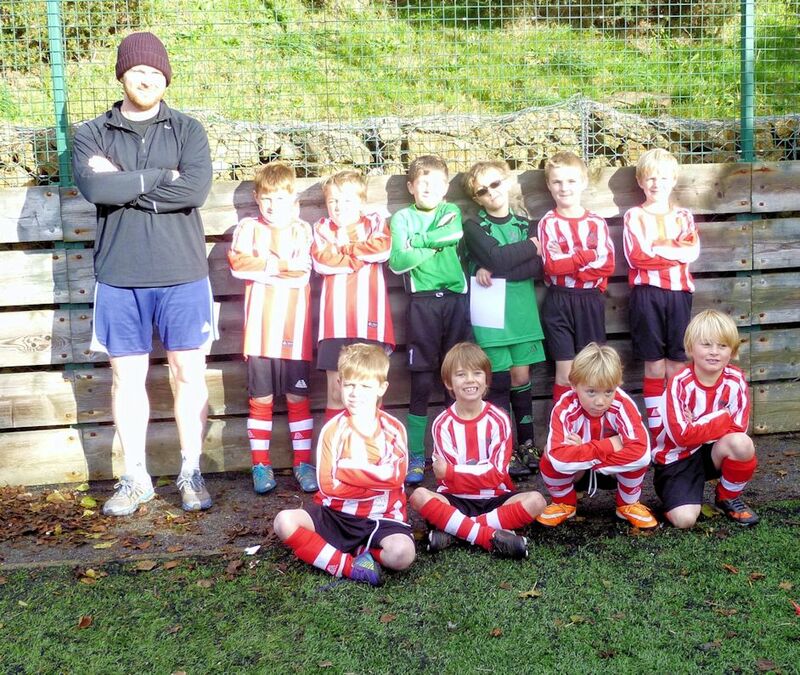 The Under 8's said a big thank you to Lisa Venton who had successfully managed them for the seaon where they took part in friendly fixtures and festivals. 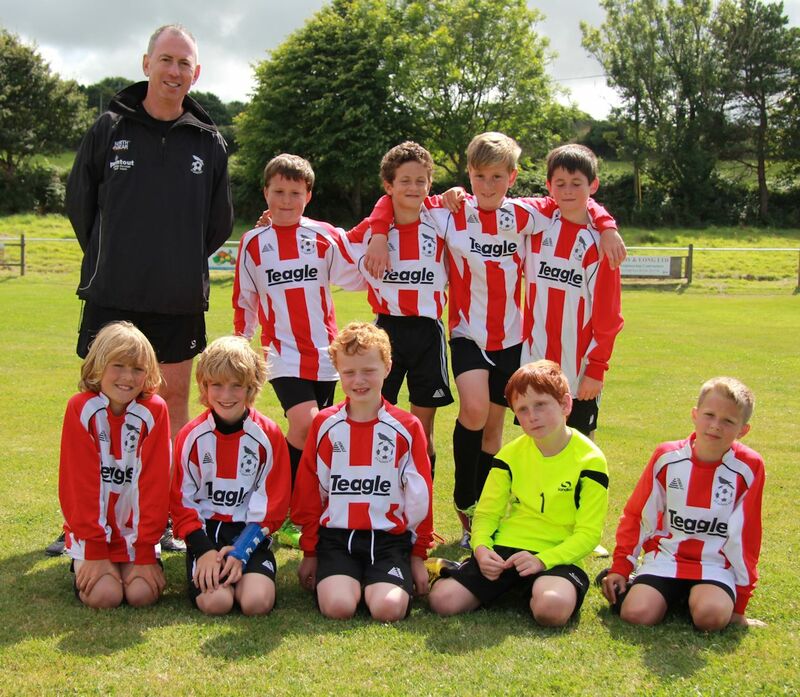 Next season as they step up to Under 9's they will be coached and managed by St Agnes AFC first team player Jimmy Gazzard. 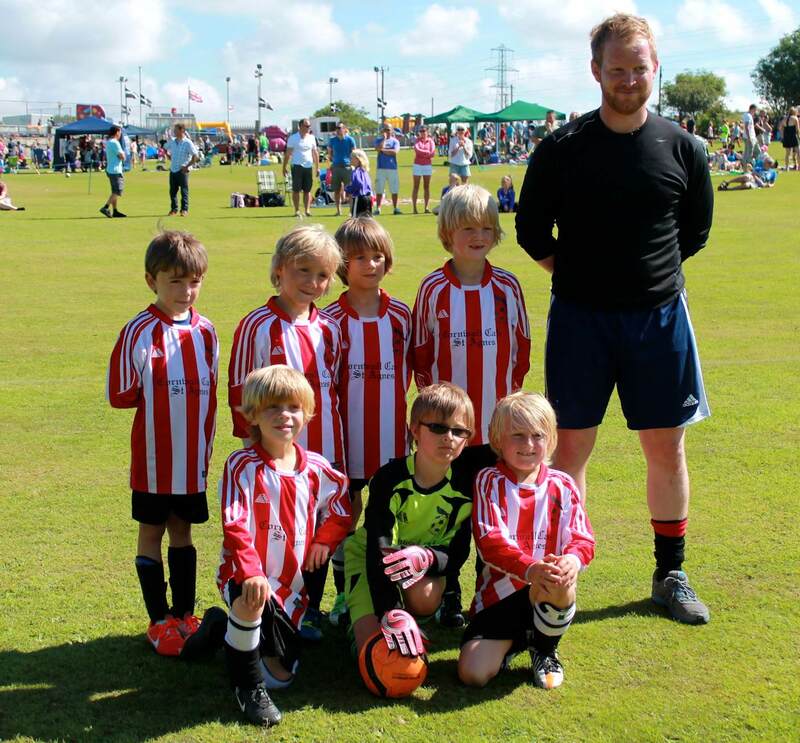 St Agnes Minis will start next season as Under 8's coached and managed by St Agnes AFC first team player James Saulsbury. The St Agnes AFC Minis (rising 5’s to 7's) will be managed by Paul Luke and Lisa Venton. 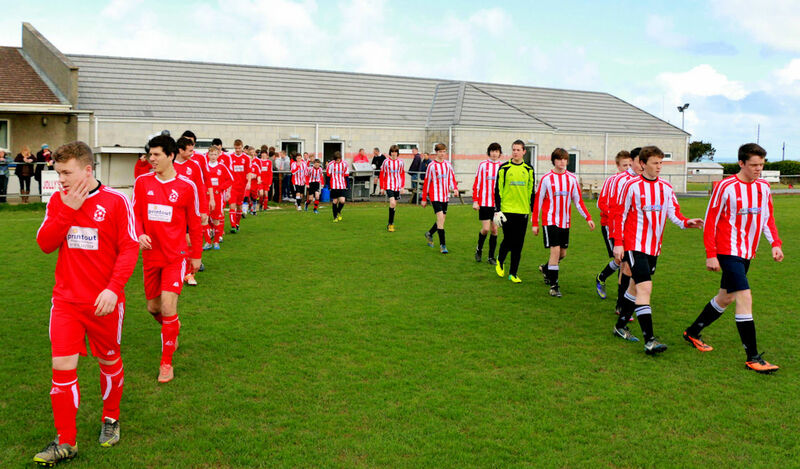 St Agnes AFC youth teams will resume training at the end of June and all players of any level of experience and capability is welcome to join. Cornwall Women's Football League held their Cup Finals day at Hayle FC on Sunday 18th May and were delighted to have a record gate turn our of supporters, family and friends for the two fixtures. Presenting their awards League Chair Mandy Kimmins said "What a great game of ladies football was played by both teams! Thank you to Hayle FC for their hospitality and use of their fantastic facilities and to all the supporters who have helped make such a great atmosphere and occasion of our Cup Finals Day. Thank you also to all of the officials here today". 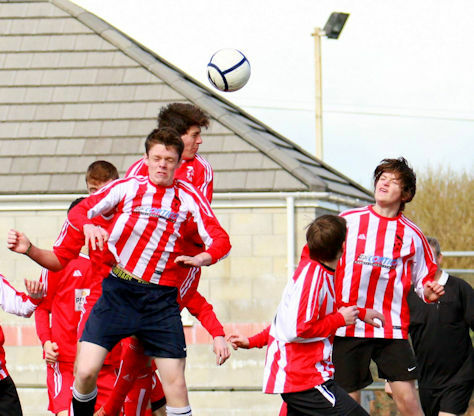 The second fixture saw League Winners St Agnes versus League Runner-Up Newquay Celtic in the League Cup kick off at 4pm. St Agnes opened the scoring through Tracey Burley the score 1-0 at half time. Ten minutes into the second half Tracey Burley scored a second to put St Agnes 2-0 up. Newquay pulled 2 back to bring the score to 2 all and extra time. 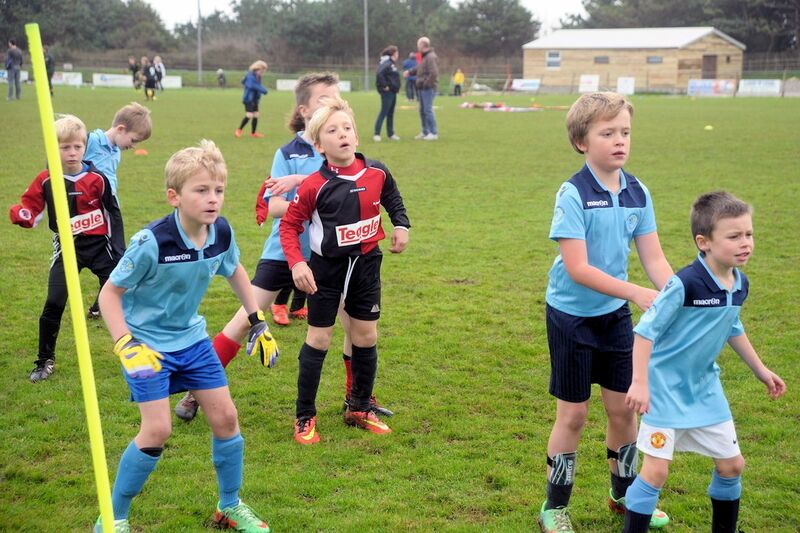 Newquay upped the pace, and fitness levels between the teams showed as Newquay went on to score 3 in extra time and run out comfortable winners at 5-2. Their goals from Kirra Spray (4) and Katie Phillips. 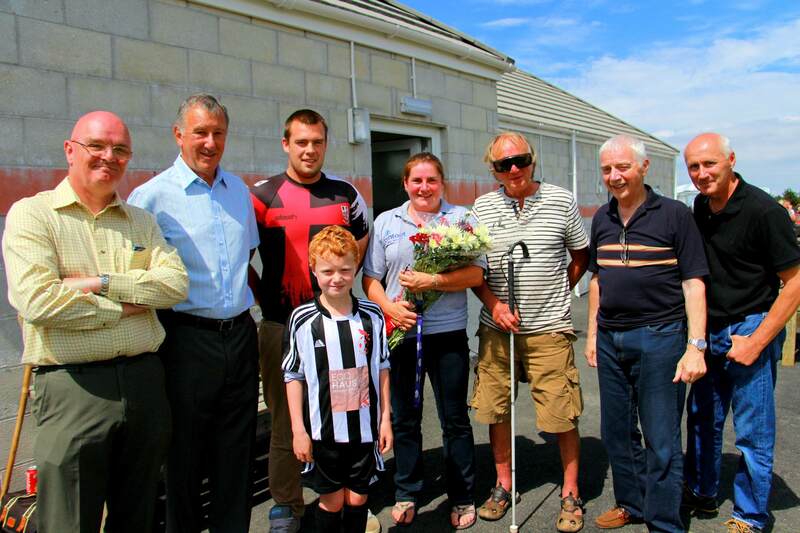 Player of the match was Kirra Spray from Newquay Celtic as selected by members of the CWFL committee. Tracey Burley from St Agnes was presented with the League Top Goal Scorer Trophy for her 27 goals in league matches this season. 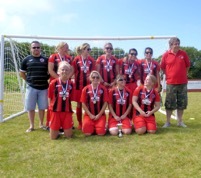 Presenting the awards for both League and League Cup competitions CWFL Cornwall FA Council Rep. Rose Pannell-Hitchens said "What a great advert for ladies football we have seen here today. Well done to all four teams who took part and thank you to the League committee members who have worked so hard to make today such a special one". A raffle during the day raised £100 for Penhaligon's Friends, a Cornish charity changing bereaved children's lives. With this season at a close the committee are looking towards their AGM and the forthcoming 2014/15 season and would be delighted to welcome new members to the committee and new players and teams to the CWFL. Anyone interested please contact the secretary Denzil Lobb via his email d.lobb48@btinternet.com. We would also welcome anyone interested in sponsoring the CWFL to get in touch. 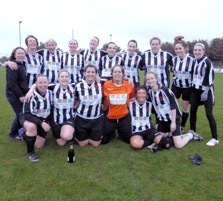 Thursday evening saw St Agnes Ladies entertain Newquay Celtic Ladies at Enys Parc in a top of the table, league deciding, clash with the visitors needing to win to secure the championship. Both sides started brightly in a keenly contested fixture with Tracey Burley opening the the scoring when the visiting keeper spilled a battling challenge from Hannah Gregory. Janice Butterly then equalised with a fine strike from outside the area leaving the score 1-1 at half time. 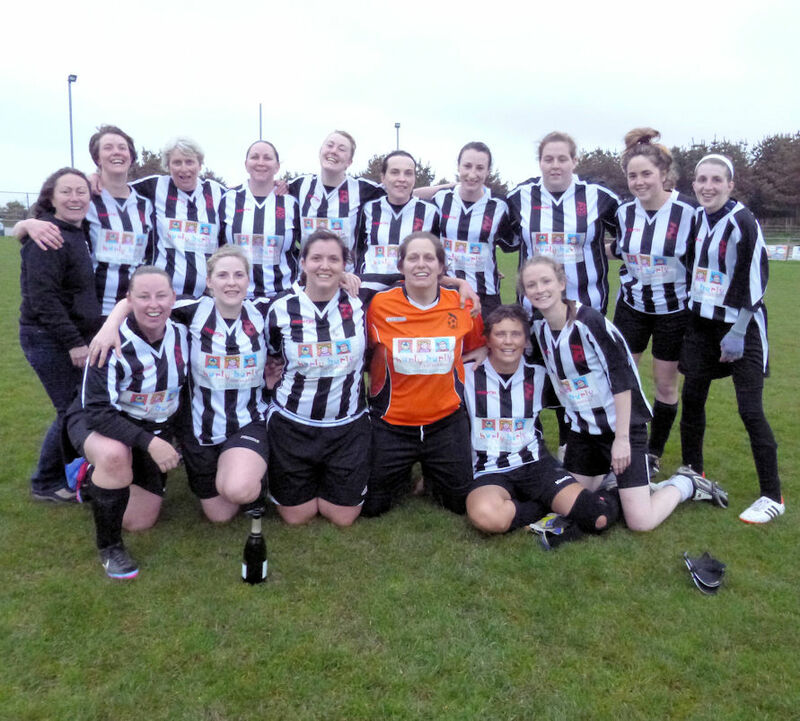 The second half saw Newquay Celtic bring the match to St Agnes, but the league top goalscorer, Tracey Burley, followed up on another keeper spillage to bring her season total to 27 and the scoreline to 2-1. Newquay persisted in their attack with shots rebounding off the goal posts and calling St Agnes 'keeper Julie Windram into action as she made a fine diving save parrying the ball around the sticks. The final score 2-1 to St Agnes. 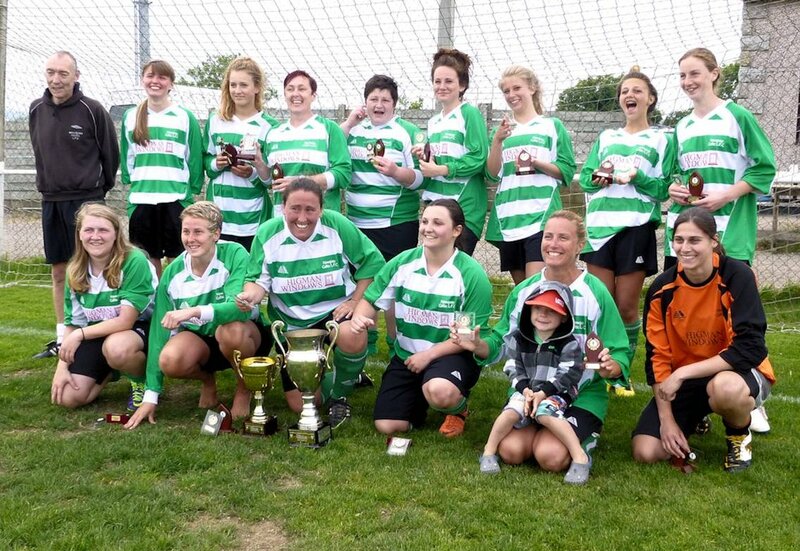 St Agnes face Newquay Celtic in the League Cup Final at Hayle FC on Sunday 18th May at 4pm and would love to see all supporters and former players there to see the end of the Aggie Ladies most successful ever season. 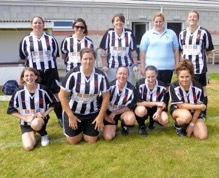 Team Manager Mandy Kimmins said "I am incredibly proud of St Agnes Ladies and their first ever league win. 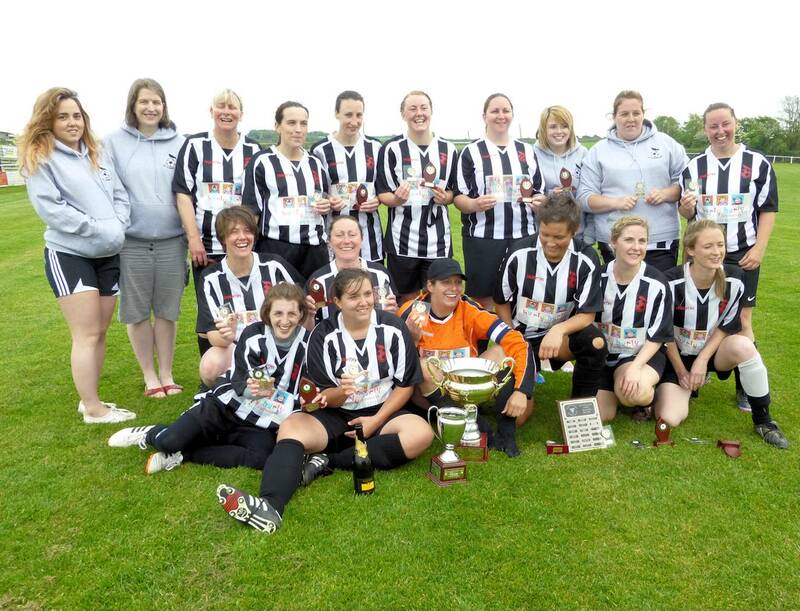 We started as a friendly side 11 years ago and becoming champions is a fantastic way to finish our 10th league season! 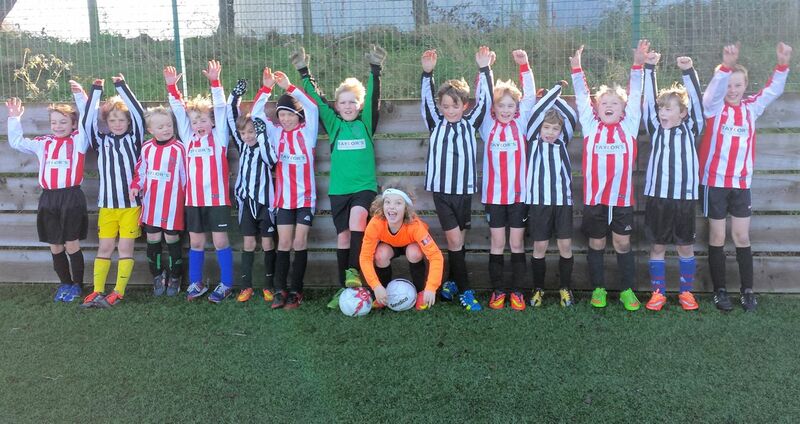 Congratulations to Newquay Celtic on great game and a really good season!" 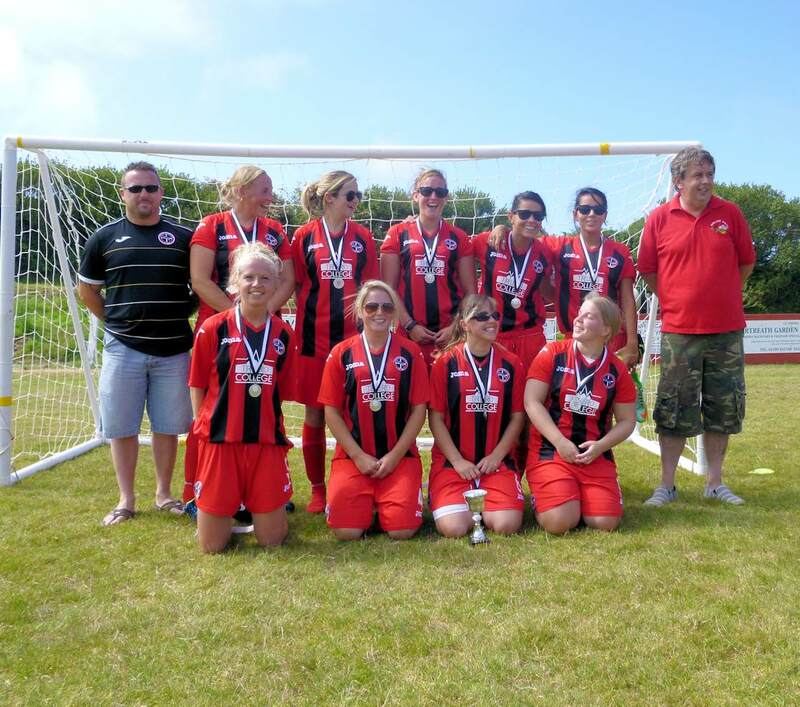 Any female players aged 16 years and above of any level of experience interested in joining St Agnes Ladies AFC is welcome to get in touch by email bolsterpaper@gmail.com or telephone 07974 370666. Friends and family supported players from both of the St Agnes AFC 16's teams in their Memorial Match held in memory of their team mate Tom Savage at Enys Parc on Saturday 22nd March 2014. The players released 15 balloons for Tom prior to an eagerly contested fixture, which saw the St Agnes Savages victorious over the St Agnes Under 16's (5-0). 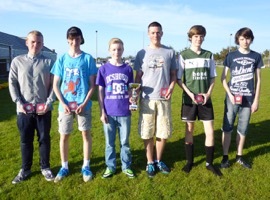 All of the players were presented with trophies by Tom's mum Wendy. A raffle with coffee, cakes and donations raise £220 for SKYD a local charity Supporting Kernow's Young Diabetics.